This game is still in progress. Informations presented here can change or are WIP representations of the game. As kids everything seemed to last forever. Minutes couldn’t go fast enough for us. But if we look back to that time it was just an instant. 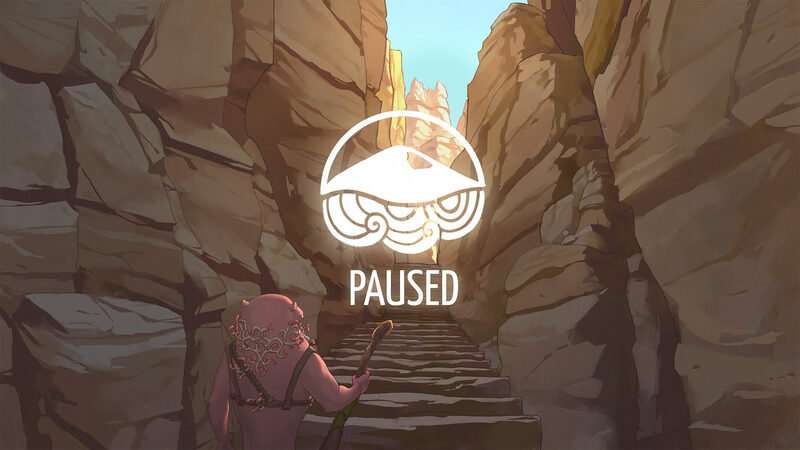 Paused is a 3D action-adventure telling a modern fairy tale of an ancient otter sanctuary inside a canyon and a joyful otter named Thea. Otters have the power to manipulate the time of objects surrounding them. 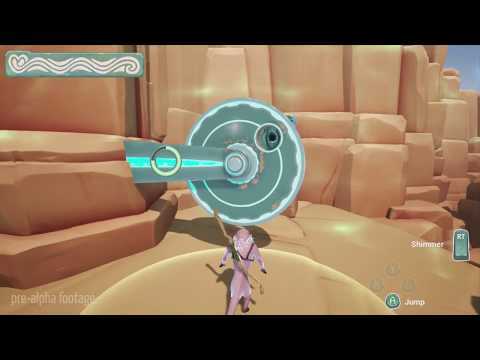 Explore and reflourish the sanctuary using time to control ancient technology! It is the tale of an otter named Thea. Otters are very curious and playful animals. Their nature seems carefree, which enhances the base tone of the tale. The core mechanic in Paused is the ability to slow down time to the point of total stop. It is called “Shimmer” and is a metapher of that sensation of time your had as a child. This variant of time manipulation is an old ability of otters in that world. The effect does not directly stop time but rather objects closer appear to move slower, the farther away an object is the faster it will seem to move. The main protagonist is a young otter named Thea whose parents disappeared one day and she had to survive alone and grow up through that challenge. One day she passes a nearby canyon, her parents warned her all about in her childhood, in search for food. She stumbles into the canyon and now wants to get out of it. During her journey she discovers the lost history of otter civilization and finds clues about the whereabout of her parents. Further she discovers how otters sacrificed her playful drive in to be more efficient. They created giant machines and golems to aid them with specific tasks inside of the canyon and advanced to a higher technology level. Those machines and golems are still active and try to fulfill their tasks. Thea is able to fight said machines and golems with her hunting staff and using her ‘Shimmer’ ability. The combination of both can unleash devastating attacks that can shatter parts of golems and machines to expose their weak spots. The ‘Shimmer’ ability can be used to many extends, as active combat ability, in defense to dodge attacks or counter-attack open spots. Additionally, mechanisms can be manipulated might need to be re-synchronized in order to fix them or do variable tasks. Parts of the canyon are simply not reachable by foot alone, thus the player is able to swim and dive through water he let in the canyon from underground reservoirs held back by giant pumps. This allows players to travel the world faster in a natural way and gives him incentive to explore prior parts of world yet again. Slow the flow of time at your own will. Wrap your head around ancient apparatuses by getting used to an innovative spatial understanding. Explore an ancient technology & culture created by otters.